Engineering roles of all levels are in high demand both nationally and at the local level. 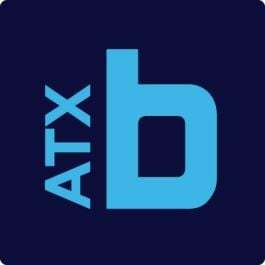 If you’re a forever student of programming with the desire to contribute to some of Austin’s leading tech platforms, check out these six companies hiring for individuals like you. What they do: HomeAway, a member of the Expedia family of brands, hosts an online marketplace for more than 1.2 million vacation rental properties around the world. The company has more than 60 jobs openings in Austin and nearly half are for software engineers. Who they’re looking for: Brilliant minds driven by data who are motivated by the opportunity to directly impact the way the world travels. photo provided by nss labs. What they do: As a trusted source for cybersecurity guidance, NSS Labs provides enterprises with research-backed data to inform business decisions on selecting and measuring the effectiveness of a threat prevention solution. Who they’re looking for: Leaders passionate about cutting-edge technology ready to join NSS Labs’s team of innovators and security analysts. angela hsu, software engineer at ping identity. photo by HANNAH KOEHLER . What they do: Ping Identity’s protection platform helps enterprises manage identity and profile data at scale through multi-factor authentication, single sign-on, access management, directory and data governance capabilities. Who they’re looking for: Honest, proactive team players who make every moment count and who feel empowered to initiate projects and build from shared ideas. What they do: ThousandEyes brings network clarity to brands and organizations. Its clients include leading global software companies, five of the top six U.S. banks and 45 of the Fortune 500. Its platform monitors network and application performance anywhere across the internet. Who they’re looking for: Experienced, team-oriented professionals excited about working for a fast-growing startup that adopts a customer-first approach. What they do: Bound helps marketers deliver personalized web experiences to influence buyer outcomes based on behavioral, demographic and firmographic data. Who they’re looking for: Confident, positive folks with at least three to five years of experience who thrive in collaborative environments and love learning new approaches. What they do: Amherst InsightLabs builds proprietary tools for its parent company Amherst Holdings to track, analyze and price residential and commercial real estate-related investments. Who they’re looking for: High-energy engineers with entrepreneurial mindsets and an interest in staying current on industry trends. Applicants must be willing to learn new languages.